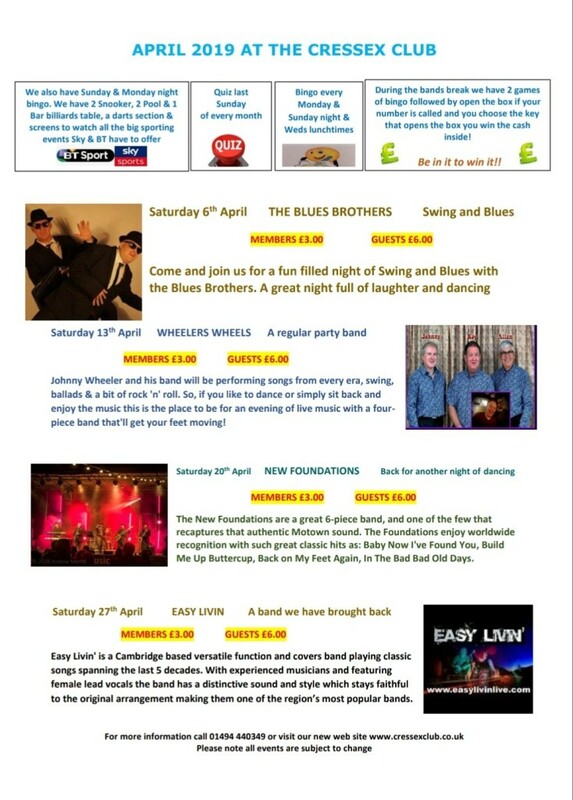 We have a great line up for April starting with the Blues Brothers. A fun filled evening. Then we have wheelers Wheels following them we have the New Foundations and finally Easy Livin.